Here is my newly re-covered sewing chair. I spent about 40 minutes on it, because everything needed for the job was very low-tech and easy to find right here in my house. If I had spent money on the fabric, I would have capped myself at $30. Fabrics can be very expensive, but this seat needed less than one yard to complete, and I do not believe that I could find a similar chair to replace it for less than $30. 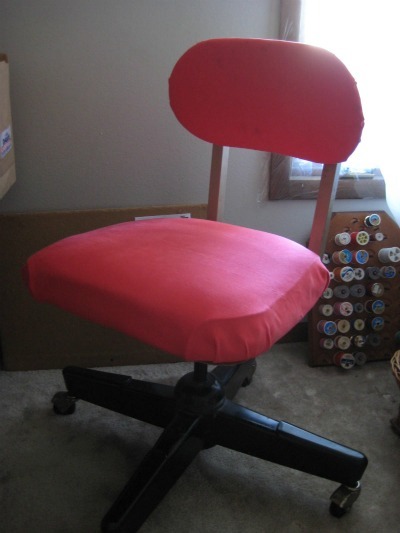 This entry was posted in crafting, frugal family and tagged chair, reupholster. Bookmark the permalink.